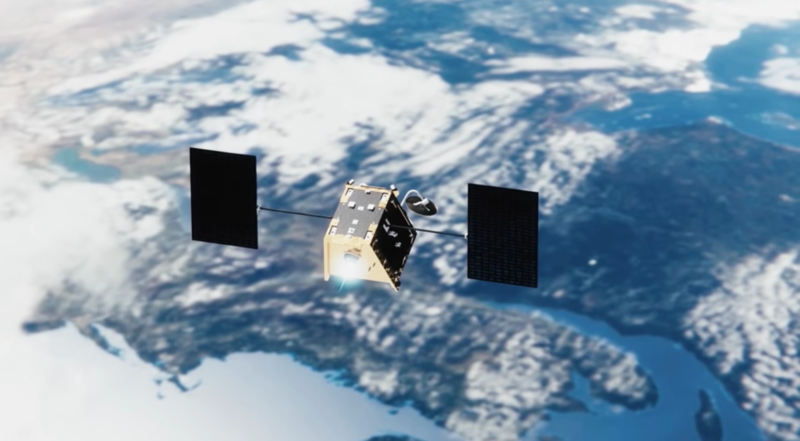 WASHINGTON — Less than a month after the launch of its first six satellites, OneWeb closed a new $1.25 billion financing round to further its internet constellation. Japanese tech giant SoftBank — OneWeb’s largest investor — led the round, as did returning investors Grupo Salinas, Qualcomm Technologies, and the government of Rwanda. The new financing bring OneWeb’s total funding to $3.4 billion, following a $500 million round in 2015, a $1.2 billion round in 2016 and undisclosed fundraising of around $450 million last year. In a statement accompanying the March 18 announcement, OneWeb CEO Adrian Steckel said the new money “makes OneWeb’s service inevitable” as the heavily capitalized startup prepares for the large-scale production and launch of a first-generation constellation of 648 satellites. Steckel said in a February interview that OneWeb had moved away from earlier plans to finance the remainder of its system using debt. That approach, he said, would have required OneWeb to sign up early customers at discounted pricing, which OneWeb feared would permanently constrain what it could charge for service. OneWeb declined to say how much each investor contributed to the new round. OneWeb plans to begin offering regional service in 2020 with 300 satellites, and full service in 2021 with 600 satellites. The full first-generation constellation consists of 600 operational satellites and 48 spares. Steckel, who was an executive board member at OneWeb-investor Grupo Salinas, became OneWeb’s CEO in September, and was tasked with helping to raise additional financing. He said during the interview that Grupo Salinas invested $25 million in OneWeb’s 2015 round and $76 million in OneWeb’s 2016 round. OneWeb no longer shares cost projections for the system, which originally were between $2.5 billion and $3.5 billion, but have been externally estimated at as high as $7.5 billion. “OneWeb’s potential is undeniable as the growth in data from 5G, [Internet of Things], autonomous driving and other new technologies drives demand for capacity above and beyond the limits of the existing infrastructure,” he said. OneWeb said it will start large-scale satellite production this spring at its new factory in Exploration Park, Florida, run by its Airbus joint venture OneWeb Satellites. In the fourth quarter of this year, OneWeb will begin “monthly launches of more than 30 satellites at a time” to deploy the constellation, it said. “We are committed to bridging the digital divide, and this funding helps ensure our globally shared dream will soon become a reality,” Greg Wyler, OneWeb’s founder and chairman, said in a statement. Arianespace is OneWeb’s principal launch provider, having launched the first six satellites on a Soyuz rocket Feb. 27, and having 20 more Soyuz launches under contract. The majority of those launches are expected to take place from Russia’s Baikonur Cosmodrome in Kazakhstan.